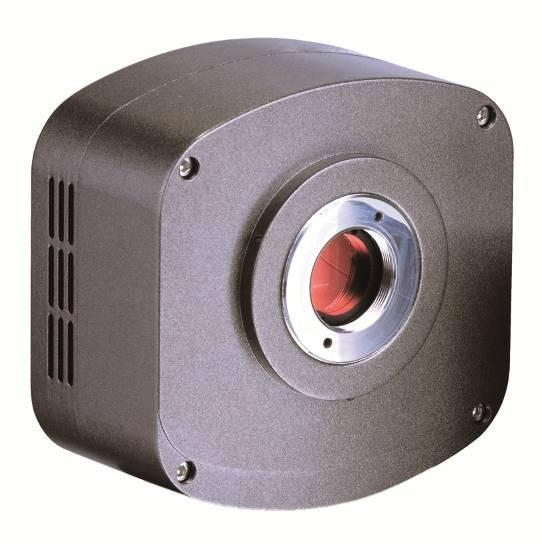 BUC4-140M(Cooled, 285) series cooled CCD digital cameras are high quality CCD cameras. Real scientific grade CCD sensors are adopted and images and videos can be captured with high sensitivity and low image noise. With C-mount, these cameras can be connected to trinocular microscopes, fluorescence microscopes, and metallurgical microscopes to capture a variety of bright field, dark field, and fluorescence images in life science and industrial applications. Microscope adaptor and connecting rings can be chosen to connect the digital cameras to any microscopes. brightfield, darkfield, fluorescence imaging of life science and industrial applications.